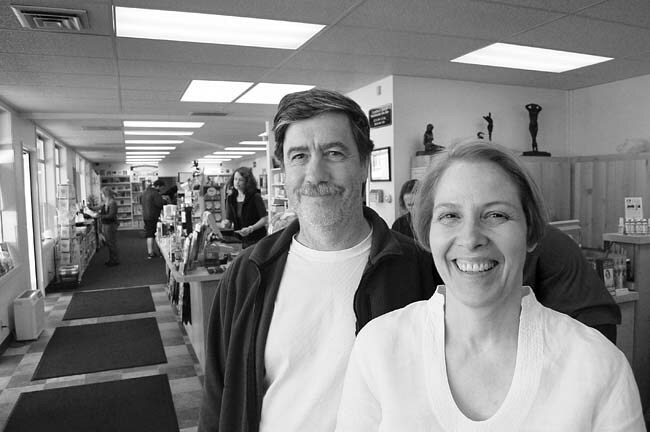 In 1980, one year after Willamette and Marist High grads Craig and Terri Williams got married, Craig's mother Dorothy Shields opened Evergreen Nutrition, a store devoted to nutritional supplements. Ten years later, by then mother-of-three Terri Williams started working at Evergreen. She was joined by Craig, who studied to become a CPA after an injury ended his career as a steel fabricator. "All three of our kids have worked here," says Terri, a certified clinical nutritionist. "Our youngest, Richard, works here now." Still in its original location at 1653 Willamette, Evergreen has grown from 600 to 2800 square feet after the latest expansion, completed in April of this year, and from two employees to 14, including part-timers. "Seven of them have been here longer than 10 years," Craig observes. "Our knowledgable staff is our biggest asset. We believe in education." Throughout the month of June, Evergreen has been celebrating its 28th Anniversary and the new remodel with raffle prizes, free samples, and demos. Learn more in the Evergreen Newsletter at evergreennutrition.com.